On the assumption that there is still a desire for video amongst our SetSail visitors we’ve uploaded some of the upwind wave study clips. To view this four minute 45 second segment click here. Incidentally, we have been stunned by the number of folks watching this latest set of videos, over 20,000 viewings in the past ten days. Thank you for the interest. 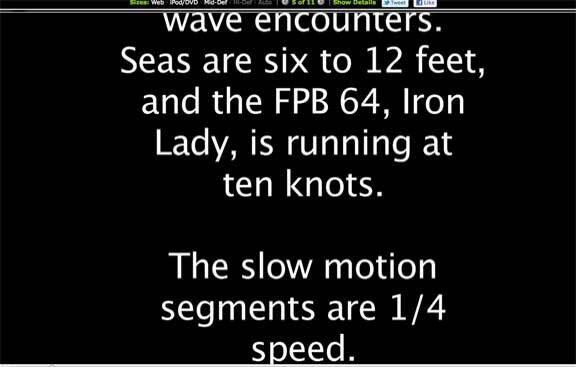 This entry was posted on Sunday, April 3rd, 2011 at 12:00 am and is filed under FPB 64 Sea Trials, FPB 64 Videos. Both comments and pings are currently closed.